Widely praised for its accuracy, performance, precision and longer service life, the range of Optical Profile Grinding Machine is amongst the finest that are available in the market. Making of this range is done following the norms and guidelines of the industry and utilizing quality raw materials and advanced technology. We are a top-notch organization, engaged in providing Optical Profile Grinding Machine. Hindustan Export & Import Corporation Pvt Ltd. 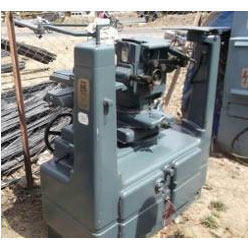 Spare Capacity on CNC Optical Profile Grinding Machine. 1. Make : Profiletec, Switzerland. 2. X - Axis : 120 mm. 3. Y - Axis : - 50 mm. 4. Z - Axis : ± 30 degree, 001 degree. 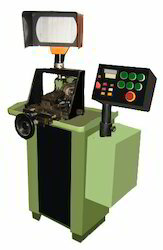 We are a leading manufacturer of Optical Profile Grinding Machine.